Pedro Calderon de la Barca (1600-1681) is generally acknowledged to be the master author of autos sacramentales, one-act pageant plays that usually dramatize the myths of the Fall and Redemption. Since the auto was supervised by both the church and the state, it is typically held to be an art form that serves theology and the dominant powers of the time. 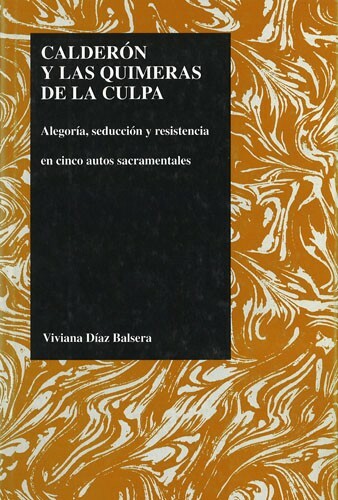 Basing her examination of Calderon's autos on modern theories of allegory, Viviana Diaz Balsera focuses on the seductive power of the dramatic, visible level of the allegorical auto and questions the widely held assumption that Calderon's autos harmonize the dramatic and religious discourses that constitute them. In her readings of Los encantos de la Culpa, Eljardin de Falerina, La nave del Mercador, La vida es sueflo, and Lo que va del Hombre a Dios, she instead finds a disjunction between the literal, poetic level and the religious, theological meaning. With its splendid scenes, poetic fables, and elaborate music, the auto ironically has the potential to reproduce the seductive function it frequently attributes to the Devil and/or the forces of evil. Rather than the dogmatic champion of the Catholic Church, the auto emerges as conflictive, ambivalent, and moving, participating in the very dangers of sensual pleasures it seeks to warn against. 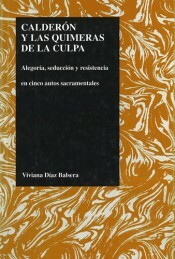 Viviana Díaz Balsera received her Ph.D. in Hispanic Studies from Yale University in 1989. She has taught and researched in the fields of Spanish Golden Age and Spanish American Colonial Studies, with emphasis in Mexico. Her areas of interest are cultural translations, memory, writing and performance in the New World contact zone, and the constitution of colonial subjectivities.